The root of the problem is that sign language gloves cater to the wants of the hearing population instead of the needs of the deaf signing community. Machine translation for sign language may not be practical any time soon, but that’s no excuse for leaving the deaf community out in the cold. Stop expecting science fiction technology to save the day. Here’s what to do instead. For deaf people who use sign language to communicate, sometimes there’s no replacement for a skilled sign language interpreter. Sign language is their mother tongue. So, although most are also fluent in written English, and a pen and paper will often suffice for casual interactions, having sign language interpreters on hand is vital for legal, medical and educational situations. For important communications, you should offer interpreters wherever possible . . . but please, make sure the interpreters know what they’re doing! There have been a disturbingly high number of instances where organisations have used amateurs who happened to know some sign language and gotten signed gibberish as a result. For example, last year, Florida’s Manatee County held a press conference in anticipation of Hurricane Irma. Unfortunately, they didn’t go through the steps of finding a qualified interpreter. Instead, they tapped an employee with a deaf brother. The result? Improperly signed warnings about a “pizza bear monster.” It would have been hilarious, except that it was an emergency situation and a lot of deaf residents had no idea how they should prepare. 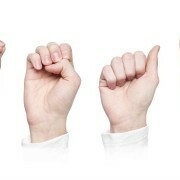 The bottom line: Being a sign language interpreter is a skilled, complicated and challenging job. Unfortunately, hearing people often underrate the level of professional skill it requires. Don’t make this mistake. A reputable language services firm can usually find you a certified interpreter even on short notice. At K International, all of our linguists are CACDP (The Council for the Advancement of Communication with Deaf People) approved and registered. Closed captioning and live captioning are another great way to make your content and events accessible to people who are deaf or hard-of-hearing. 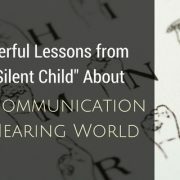 People who became deaf later in life and didn’t grow up with sign language as a first language may prefer captions and speech-to-text. In our work for Transport for London and the Greater London Authority, we provide both in-person BSL interpreters and speech-to-text reporting. By doing so, we ensure that we’re serving the varied communication needs of deaf and hard-of-hearing attendees. Recorded sign language is an excellent way to make your videos accessible to people who are more comfortable communicating in sign language. Adding BSL overlays as an option to your end users makes your content available to a broader audience. What’s the easiest way to make sure your accessibility initiatives are actually helpful? It’s simple. Ask the people you’re trying to help. Hold focus groups. Ask for feedback. If something’s not working for them, change it. If you’re looking for qualified BSL interpreters or other accessibility services, we can help. Take a look at what we do and contact us to discuss your next project! Deaf Child's Name Sign Called "Too Violent"
The Aloha Poke Controversy: Naming Businesses Across Cultures Have You Seen Our New Look?